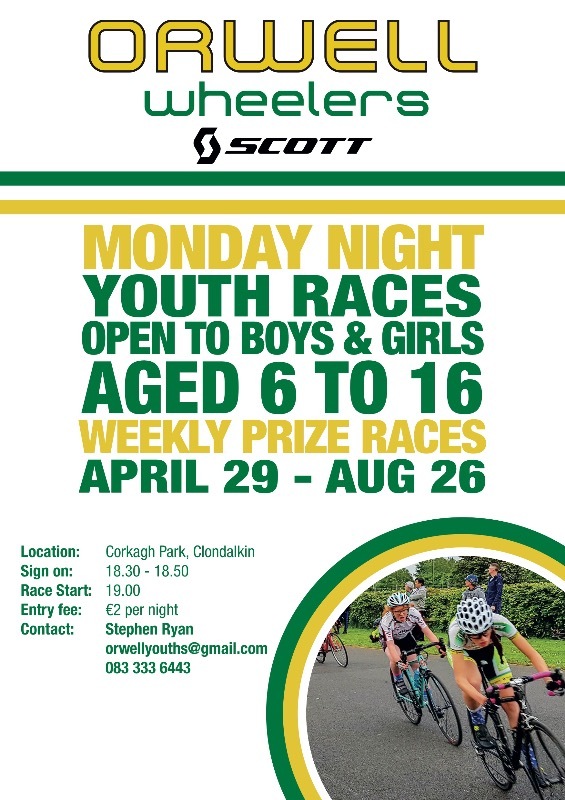 Monday night youth racing will return to Corkagh Park on Monday the 29th of April. All are welcome along, any type of bike so long as it is roadworthy, all ages from 3-16, and all levels of ability from absolute beginner to seasoned internationals. Sign on is from 18:30 to 19:00, and racing runs from 19:00 to roughly 20:00 or possibly a bit longer depending on numbers. We'll be there every Monday from now until the end of the Summer holidays. Entry fee is €2 and can be paid on the night. Last edit: 1 month 4 days ago by Louise Keane.